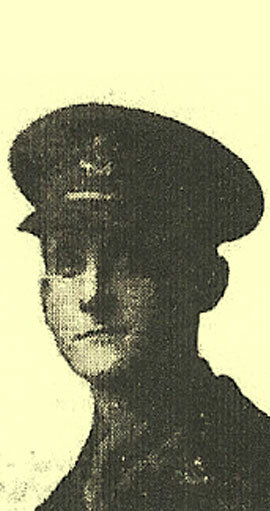 Robert Seddon Caldwell was born in Platt Bridge, Hindley near Wigan on 15 June 1894. He was the fourth son of John Shepherd and Anne Alice Caldwell of Brookfield, Church Street, Westhoughton. He was one of twelve children. Robert's father, John Shepherd Caldwell, was a colliery manager and mining engineer. 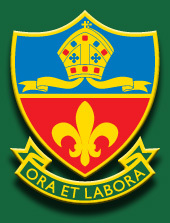 Robert’s primary education was at Westhoughton Parochial School. He attended Bolton Church Institute in Forms II to IV from January 1906 to 21 December 1908. His education was completed at Denstone College, Staffordshire, between January 1909 and 1910. By the age of 16 Robert was an accountant’s clerk. He later became articled to the estate agents Looker & Theakston at Huntingdon. Robert enlisted on 6 August 1914 and served with the Expeditionary Force in France and Flanders from 25 December 1914. In three years service at the front he took part in the engagements at Ypres, Neuve Chapelle, Festubert, Givenchy, Loos and the Battle of the Somme. He is buried with two comrades in the churchyard of Vandieres-sous-Chatillon, a small village in the Marne region of France, just inside the southern limit of the German advance of 1918. He may have been involved in attacking a German position reached at the end of the Third Battle of the Aisne. It was soon after his death that the Allies began their own offensive which ultimately led to victory. Robert's name appears on Westhoughton War Memorial. News of the death of Sec-Lieut. ROBERT SEDDON CALDWELL, FOURTH SON OF Mr and Mrs Caldwell, of “Brookfield”, Westhoughton, was received on his 24th birthday, having occurred four days previously, June 11th. A letter from a brother officer states that he was killed during an attack on a wood held by the enemy whilst leading his own men in the charge. For his gallant work that night he has been awarded the French Croix de Guerre avec Palme. At the outbreak of war Lieut. Caldwell was articled to a firm of estate agents at Huntingdon. And he enlisted there in the Army Cyclist Corps. During nearly three years service at the front he was wounded twice and gassed. He was commissioned in his old corps on Feb 2nd last and went to the front again on May 10th. He was an old boy of the Bolton Church Institute and Denstone College and his mother is one of the Westhoughton representatives on the Bolton Board of Guardians. The Rev G. H. St P. Garrett made special reference to Lieut. Caldwell’s death at Westhoughton Parish Church on Sunday morning.